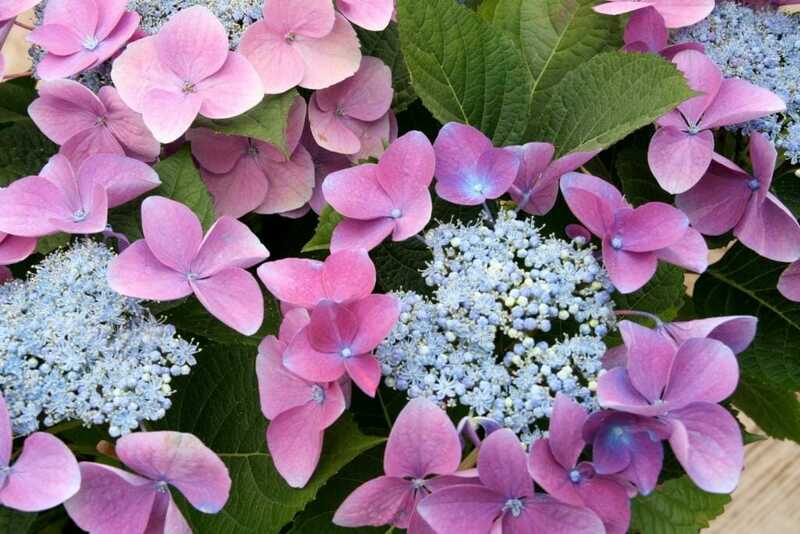 Hydrangeas flower in spring and summer and can be cut back in winter or grown from cuttings. 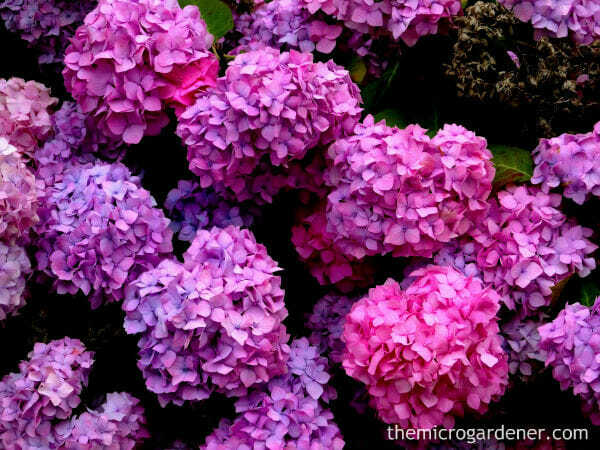 Hydrangea colour is an indication of the pH value of your soil. Pink flowers indicate it is alkaline (pH of between 8 and 12). Blue flowers mean the soil is more acidic (pH of between 1 and 6 with 7 being neutral). White hydrangea flowers may change colour as they mature. Don’t worry though – you can adjust the pH and the colour! Keep reading to learn how. 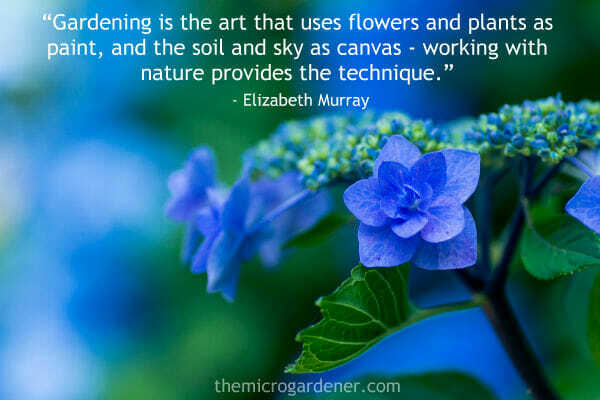 Gardening is the art that uses flowers and plants as paint, and the soil and sky as canvas – working with nature provides the technique. As a little bit of trivia, the name ‘hydrangea’ comes from two Greek words: ‘hydor’ which means water and ‘angeion’ meaning vessel. This is because the seedpods resemble drinking cups! So let’s look at where, when and how to plant out a hydrangea, as well as their ongoing needs. Location: Although hydrangeas are pretty hardy flowers, they can suffer in full summer sun or windy conditions. These both dry them out quickly. Hydrangeas prefer a partially shaded area or one that receives morning sun only. So, the best location is partially shaded or ‘dappled’ shade. All varieties should bloom and grow well in a morning sun/afternoon shade location but not in heavy shade. Try the southern side of your garden (southern hemisphere) or the northern side (northern hemisphere). 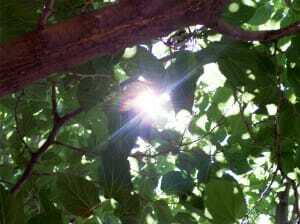 Avoid heavy shade under a tree with a large canopy – choose a partially shaded area with dappled light. Avoid planting under a tree. Tree roots will compete for the rich moist soil around your hydrangea. There may also be insufficient light if the tree canopy is large. Space: If you only have limited space, you might consider growing them in pots or containers. Choose your pot wisely for the mature size of the plant and consider the plant’s needs. 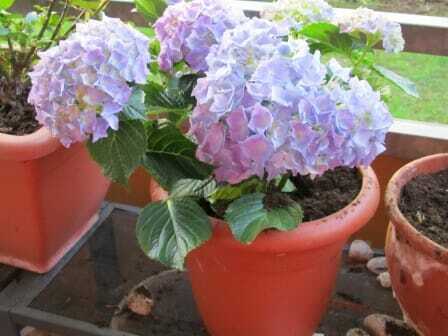 Hydrangeas need consistent moisture so avoid porous pots. Hydrangeas can be grown in pots with the right soil and care. Depending on the cultivar, most hydrangeas need at least 1m2 of personal space to feel comfy and do their best. Make sure you check the label first to determine the mature size of the plant. 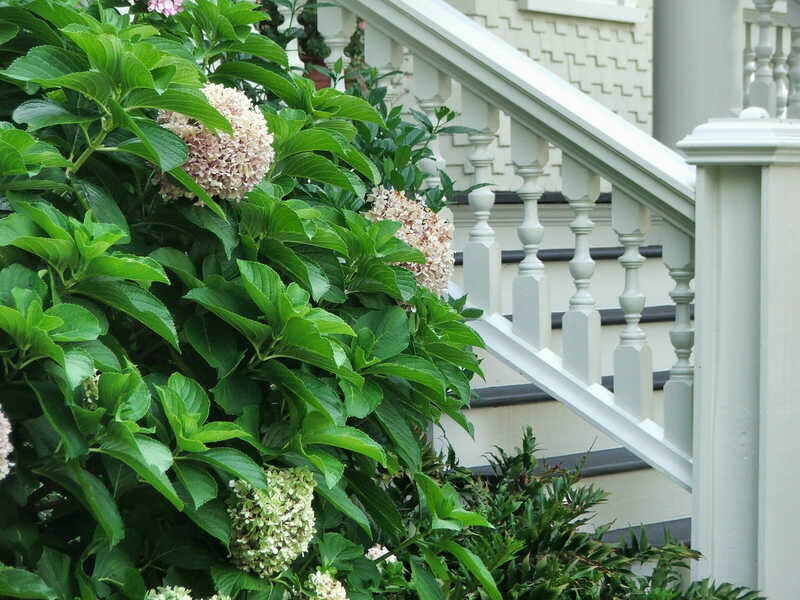 Drainage: You will also need to consider your hydrangea’s drainage requirements. Whilst hydrangeas like moist, compost-rich and well-drained soil, they hate ‘wet feet’! Raised beds are a good option if these are available or even a mounded position. If your potted hydrangea has been grown and raised in a garden nursery, it will be used to being outdoors all year so you can plant anytime. However, if you decide to plant during a hot summer, it would be wise to time your planting for early morning or late afternoon during the coolest part of the day. This will avoid heat stress. Also, bear in mind that during the hotter months of the year, your hydrangea will need to be kept well watered to establish in its new location. Hydrangea blooms make beautiful cut flowers. 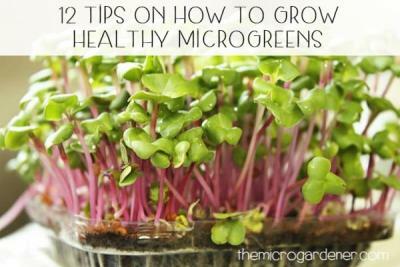 Just like you have your preferences for the home you live in, so do your plants! Hydrangeas are no exception. Knowing what they prefer will help you make a wise choice. Give them what they want and your hydrangeas will not just survive, but thrive! Likes: Good drainage; dappled shade; sufficient water; moist rich composted soil; mulch and a regular feed. Dislikes: Hot sun and a windy location; heavy clay soils; too much shade; competing for nutrients and drying out. Anytime I transplant a plant or seedling from a pot to its new home, I give it a little TLC (tender loving care)! I find I never have any stressed plants as a result. Plants seem to settle into their new position more quickly. Many people just pop a plant straight into a hole and cover it back up with the soil they just dug out. Then wonder why their plant doesn’t look healthy! It’s especially important to put extra attention into your soil for container grown hydrangeas. These ‘babies’ are totally dependent on you, their gardener ‘parent’! From experience, I believe you will get better results with a little extra effort and it takes only a minute anyway. If you’ve invested in your beautiful hydrangea, why not give it the best chance right? First, to a bucket of water, add some liquid seaweed fertiliser. Check the directions on the brand you are using and make up a ‘strong’ solution. Why give your hydrangea a seaweed ‘bath’ prior to planting in its permanent home? Seaweed products are made from kelp, which is full of trace elements that build soil and plant health. Seaweed also prevents transplant shock. Plant stress is a common problem when ‘moving house’ from a pot to a new location. I think of seaweed or kelp as ‘Nature’s Rescue Remedy’ and a pick-me-up tonic for plants. It provides a rich source of nutrients needed for healthy plants and helps build resistance to pest and disease. All good reasons to invest in it! Slowly lower the pot into the bucket. Allow the plant to soak until all air bubbles have stopped coming to the surface. This may take a few minutes or longer. While your pot is soaking, prepare the hole or new larger pot. Dig a hole that is twice as wide as the hydrangea’s root bulb on all sides. So if you have a 200mm pot, dig a 600mm hole, so the plant has 200mm extra space all the way around for the roots to grow into. Only dig the hole as deep as the pot itself. 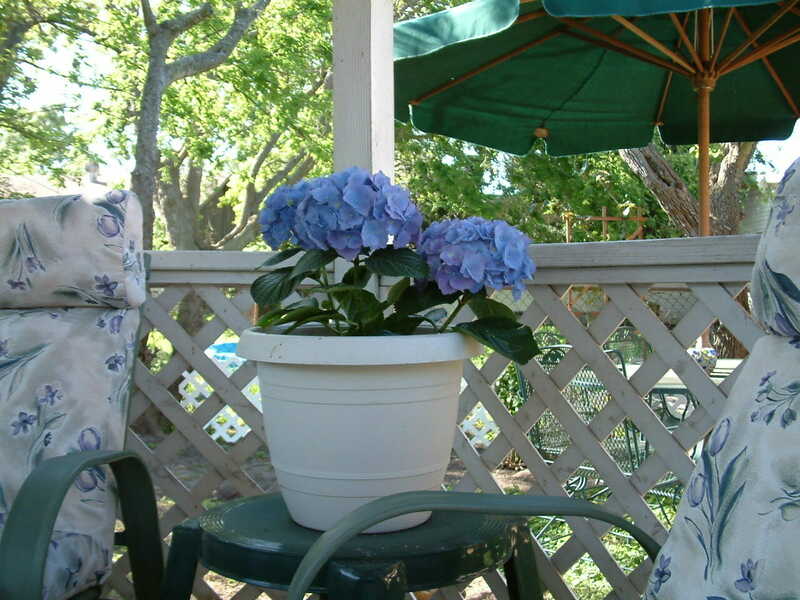 Likewise, if you are transplanting your hydrangea into a larger pot, leave sufficient room for the roots to grow. You can always move it to a larger pot again later as it grows. Hydrangeas love compost. Why? It is full of nutrients, helps retain moisture and builds the organic matter in your soil. This in turn, attracts worms who aerate the soil with their tunnels. These helpful earthworm ‘bulldozers’ leave you a trail of rich humus for free. Their worm castings build soil health and an instantly available food source for your hydrangea’s plant roots. Worms are wonderful garden helpers! 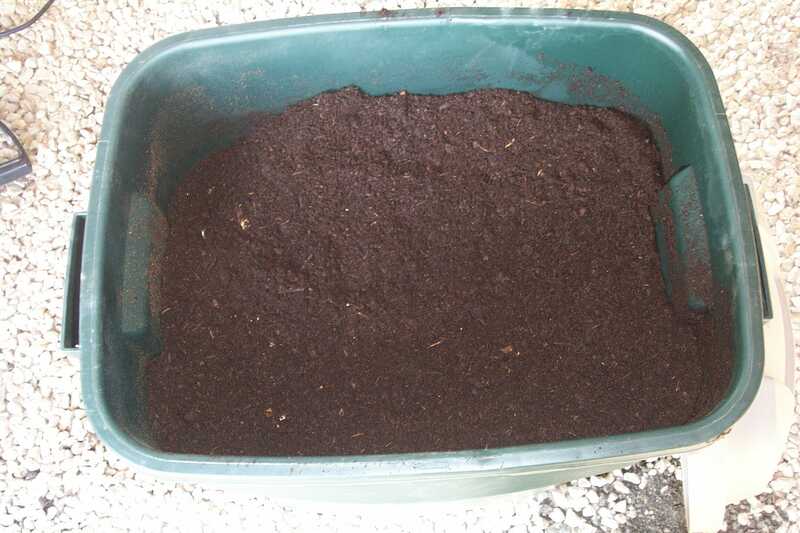 If you have your own homemade compost, then use that as a preference. If not, then choose a certified organic compost as this is probably the next best available alternative. Additional soil improvers such as rock dust minerals, Epsom Salts (magnesium sulphate), mulch, worm castings, chopped banana peel or slow release plant food can all add valuable minerals and nutrients to the soil. These will boost your hydrangea’s growth. You can add any of these to the hole before planting and adding the compost or potting mix. If you live in an area that doesn’t get much rainfall or you have water restrictions, your soil may need a little helping hand to retain moisture. I recommend adding some coir peat or coconut husk fibre. Coir peat comes in compressed blocks you can rehydrate and significantly improves moisture holding capacity. Available online or at garden centres, hardware and produce stores and even some garden sections in department stores. It is sold as a solid dry ‘brick’ that you can soak in water and will fluff up. You can add to your soil, potting mix or mix with compost. Coir peat (coconut fibre) is a sustainable by-product of the coconut industry. The husk fibre is recycled and is an economical way of adding organic matter to your garden. Coir peat retains up to 70% of its own weight in moisture. This is a cheap addition to any garden or pot. Simply follow the directions for the amount of water to add. Tip: Always use warm water to speed up hydration or you’ll be waiting until the next day for it to absorb it all! Try adding some liquid seaweed and about a tablespoon of Epsom salts to the water at the same time. These will be absorbed into the coir peat and act as a slow release fertiliser. Epsom salts contain a water soluble form of magnesium sulphate which assists with root development. Remove the pot from the soaking bucket. Tap gently on all sides to loosen the roots. Or run a knife around the edge if it appears to have been in the pot a long time. If there are roots growing out the bottom, it may be a bit pot-bound. Just snip these off. 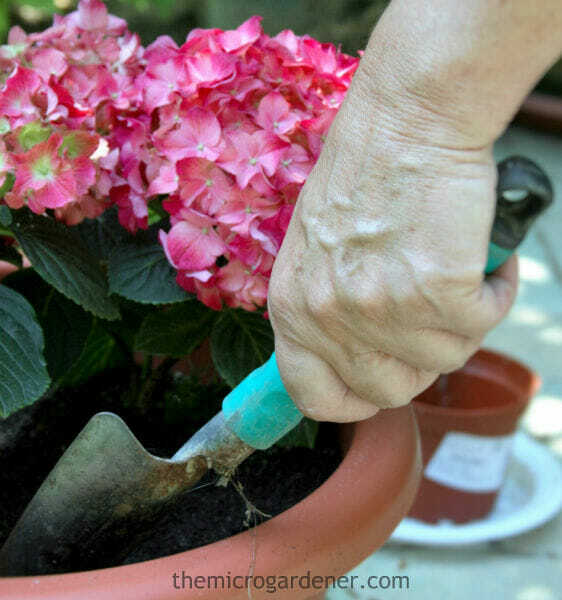 Place your hydrangea in the middle of the hole and back fill firmly with the compost. Adding compost and nutrients to your potting mix or soil will boost plant health and minimise problems. Add a slow release organic fertiliser to the soil or potting mix. This will slowly feed your hydrangea with a balanced diet of nutrients it needs for healthy growth. If the fertiliser you select doesn’t include rock minerals or soft rock phosphate, try adding some. Natural (non-chemical) mineral fertilisers are a blend of crushed volcanic rocks which give vitality to soils and build correct soil structure. Rock minerals should be applied to every garden to restore mineral balance and improve plant health. It is a bit like humans taking mineral supplements because we always have minerals missing in our diet. Hydrangeas have a fibrous root system that is close to the soil surface. So it is important to mulch well. I prefer to use a ‘feeding’ mulch which breaks down to add more organic matter to the soil. Mulches such as sugarcane, hay, lucerne, pea straw, grassy mulch hay, even grass clippings (no seed heads) will all add valuable nutrients to the soil. Mulch also protects your hydrangea from losing too much moisture from the soil. You can always apply a decorative mulch on top of this if you wish. 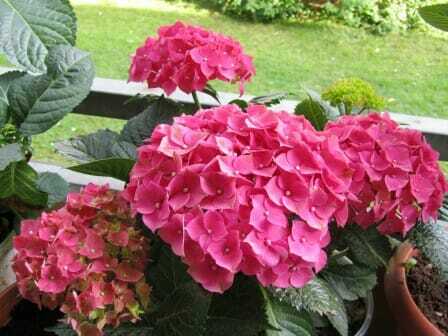 To establish your hydrangea and encourage new root growth, water in well. On hot summer days, water in the morning so the plant won’t wilt during the heat of the day. How to Grow Hydrangeas Tip: When in flower, water deeply twice a week. Water deeply every 3 days rather than a shallow water daily. Or water when it is noticeably dry. This encourages deep root development. You can water add Epsom salts (1 tablespoon to a 9L watering can) monthly. As a rule of thumb, it is better to underwater rather than over water! Hydrangeas will ‘tell’ you they need a drink by wilting a little. In winter, cut off all the flower heads that have finished blooming, six joints from the flower head. 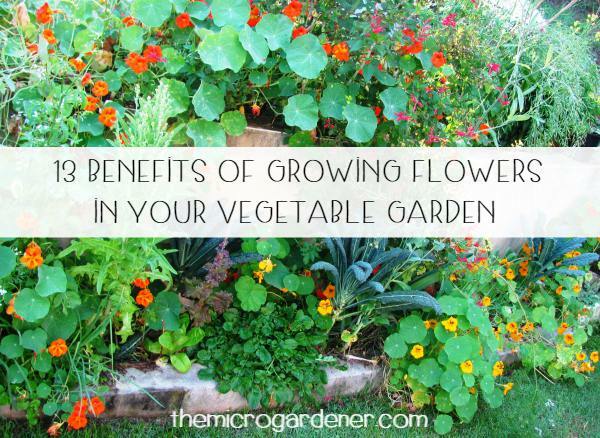 This will help them bloom beautifully the next year. 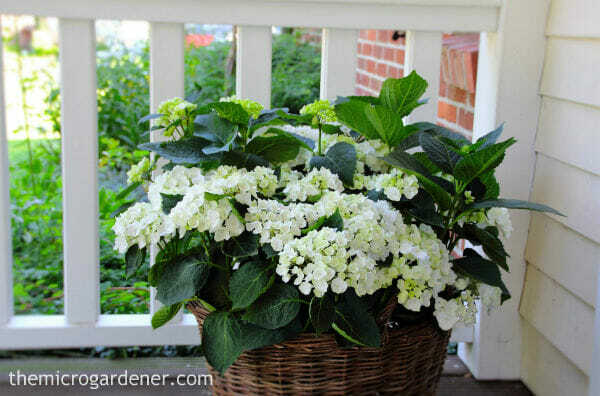 Hydrangeas can be pruned into a compact shape and look great in containers with texture like wicker baskets. Watch this practical video on How to Trim Hydrangeas for some great tips on pruning your hydrangeas. 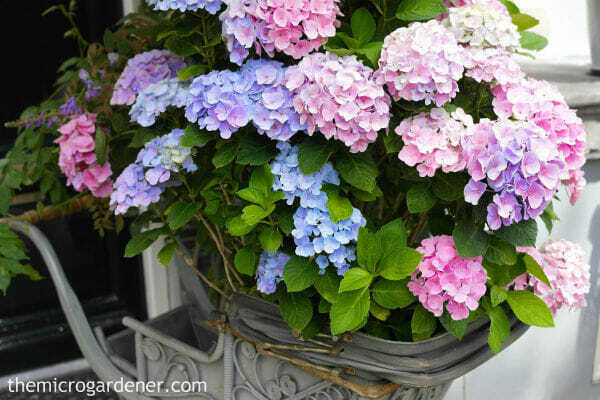 Watch this video on what to add to your soil to Change the Colour of your Hydrangeas from pink to blue or vice versa! Want to make your woody stemmed hydrangeas last a week longer in your vase? Find out how to treat the stem so you can enjoy your favourite cut flower longer. 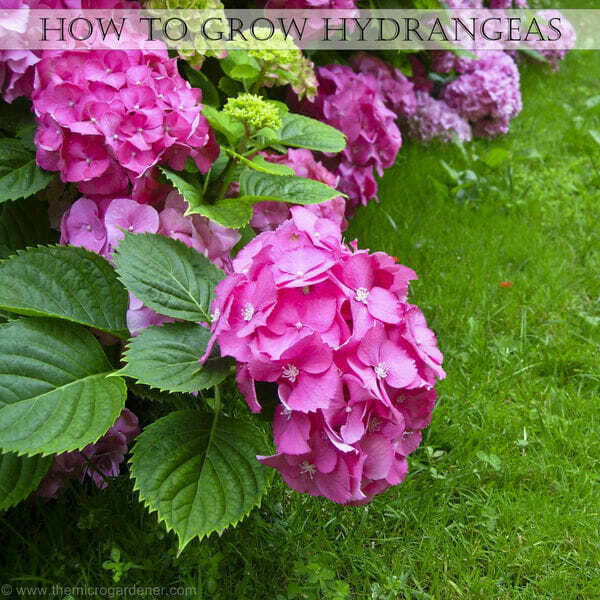 Hope you’ve enjoyed my tips about how to grow hydrangeas. Connect with Nurseries Online (Australia), Royal New Zealand Institute of Horticulture, The American Hydrangea Society and The Lakeland Horticultural Society UK for more information, galleries, links and varieties in your region. There are also some useful global links on Queensland Gardening Pages. 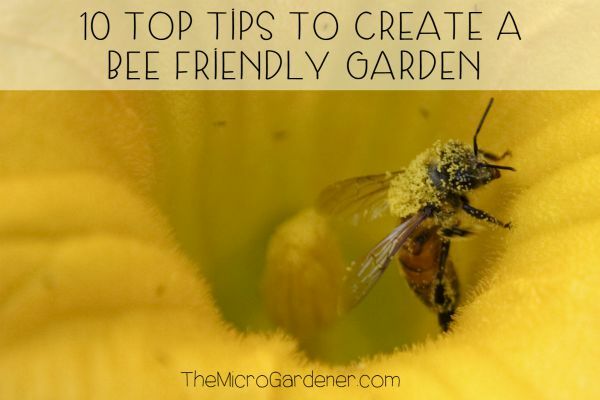 For more ideas on growing flowers and fragrance in small spaces, check out Micro Gardening and Inspirational Small Garden Ideas for lots of pictures too. 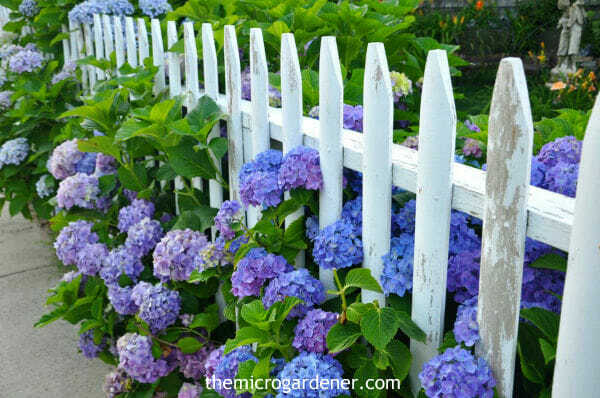 Do you have hydrangeas growing in your garden or have a tip to share? If you like this post, please share it! I have five hydrangeas in pots, waiting to be transplanted into a bed when the weather cools down. They are doing well, but I have noticed that, on a few leaves, a large pale section appears that later turns brown. Eventually this enlarges and destroys the leaf. Could it be the hot sun hitting some water on the leaf and scorching it? Hard to tell Pam but sounds like it could possibly be a fungal disease. Possible if you’re watering the leaves and it’s humid which can create the perfect environment for spores to grow. Try watering the soil NOT the plant. May help. Hi I live in Nanango QLD where it is very hot in summer and some heavy frosts in winter. Will hydrangeas survive here and best way to grow from seeds? Thanks Peter. 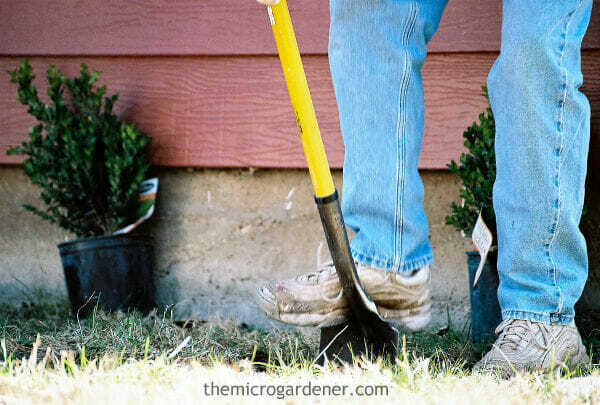 Like any plant, you have to prepare the soil as I outline in the article and choose the best location for it to thrive. If you can create a suitable microclimate or grow in a pot, where you can protect it from savage heat and frosts, then you should be able to enjoy growing a hydrangea. At least pots are portable so you can put on castors and move around during the year. Lots more options! Hydrangeas are usually propagated from softwood cuttings in summer or hardwood cuttings in winter. 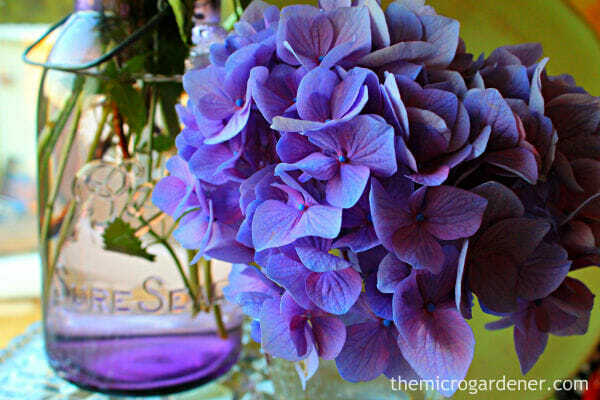 Learn How to Grow Hydrangea from Seed. I received a hydrangea as a gift. I assumed I did not mulch it enough as it died over the winter months. I replaced it with another plant and mulched it before the next winter but it too died. I would really like to have a hydrangea because they are so beautiful but don’t know what I am doing wrong. I have read articles about location etc and seem to be doing everything right. Any insight you have will be so appreciated. Perhaps you could try and grow it in a pot so you can move it into a more sheltered position over winter? You could also grow it in a large plastic pot and dig a hole in the garden, then place it into this spot during the rest of the year. Then just move it over winter. If you follow all the guidelines in this tutorial and check your soil pH, moisture and have a healthy soil, there’s no reason you shouldn’t be successful. Hi there, I am about to plant some pink hydrangeas near some conifers. 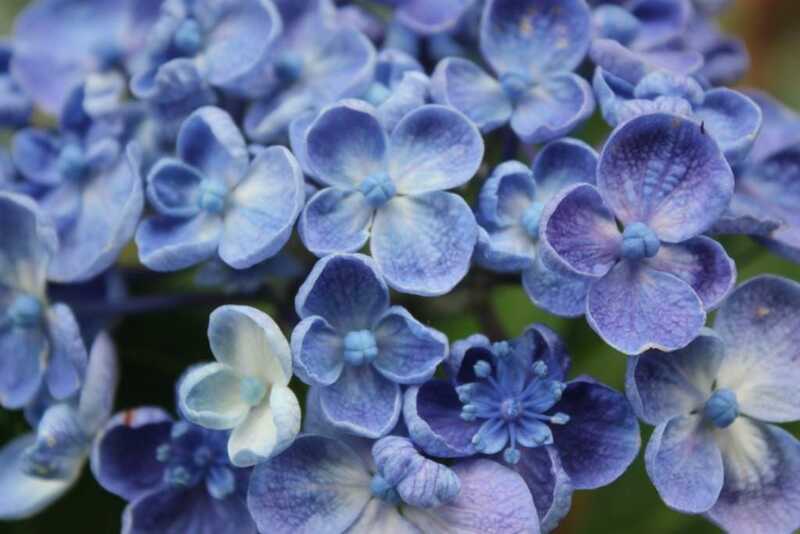 The soil is acidic as all the hydrangeas go blue. I would like to add some lime to increase the pH to keep these ones pink. As they are near the very healthy and happy conifers, will higher pH be detrimental to the conifers? Thanks! Most conifers prefer a healthy moist soil with lots of organic matter, and a slightly acidic pH. Compost is a great soil pH buffer, so if you have any concerns, just top dress around your conifers with more compost and mulch. You can’t go wrong by improving your soil quality. All plants regardless of species do best in a healthy living soil. Slightly adjusting the pH around your hydrangeas shouldn’t affect the conifers if they are healthy. If you notice any changes, try the compost and water in with liquid seaweed. That should give them a boost and keep them happy. Hi There! I’m just clarifying, but are hydrangeas able to be cut in early/mid winter? If so, what’s the best way to do it? Hi April, in autumn or winter, you can cut off all the flower heads after they have finished flowering. Look down the stem until you see plump flower buds and prune just above this. You can use any of your pruned canes to strike new plants! A bonus. Pruning will help them bloom beautifully the following year. If your plant needs shaping, rather than trimming off dead flowers, it’s ideal to do this when the plant is dormant in the cooler weather before they burst into bloom in spring or summer. Hope this helps. Should you cut dead blooms off and hopefully get a second run of flowers? The short answer is YES Chris. When and how you do so, depends on where you live/time of year and which variety you are growing. There’s an in depth explanation of this here. Hope this helps. Thank you thank you. My poor little hydrangea is looking so miserable. I love the flower. Always looks happy. I hope I am not to late to save my little guy. I’ve moved him, watered him, fed him, loved him and he still looks miserable. Next move is to place him on the South Eastern side of house, in order to get the morning sun, re pot with my own made up soil according to your recipe rather than buying it from a garden outlet. Here’s hoping with a prayer that it will work. Weeds grow but some of of my Plants don’t. I hope they now will. Thank you for this great information. I planted my hydrangeas around six years ago and the plant itself (foliage) is amazingly healthy, however every year in our (Australian) spring/ summer, I never get proper hydrangea flowers bloom. You have a photo above with the caption underneath which reads… ‘Stunning pink hydrangeas can be cut back in winter and cuttings taken’, which shows pink hydrangeas with small (powdery) blue flowers in the centre, and this small powdery blue bloom is sadly the way my flowers look every season. They do not get a morning sun, but a very late afternoon sun to them. Do you think this may be the reason the bloom is struggling? Glad you enjoyed the article. There are some good tips in the comments section also. You don’t mention where in Australia you are, so if you live in a cooler climate, you may possibly have a flower variety that won’t bloom there. Do you know which it is? This is a common reason why some hydrangeas won’t flower well – or at all. I am assuming you are providing your hydrangea with adequate moisture and nutrients as discussed in the post i.e. that it has the rock minerals needed to produce flowers. This takes a lot of plant energy. 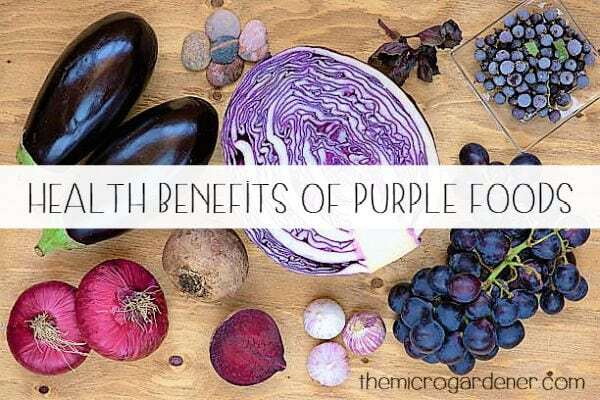 If for example, phosphorus is missing or is low or unavailable in your soil due to mineral imbalances or lack of microbe activity, then this may be the reason for your problem or at least a contributing factor. Have you checked the pH of your soil or done a soil test? This may be a factor also – i.e. 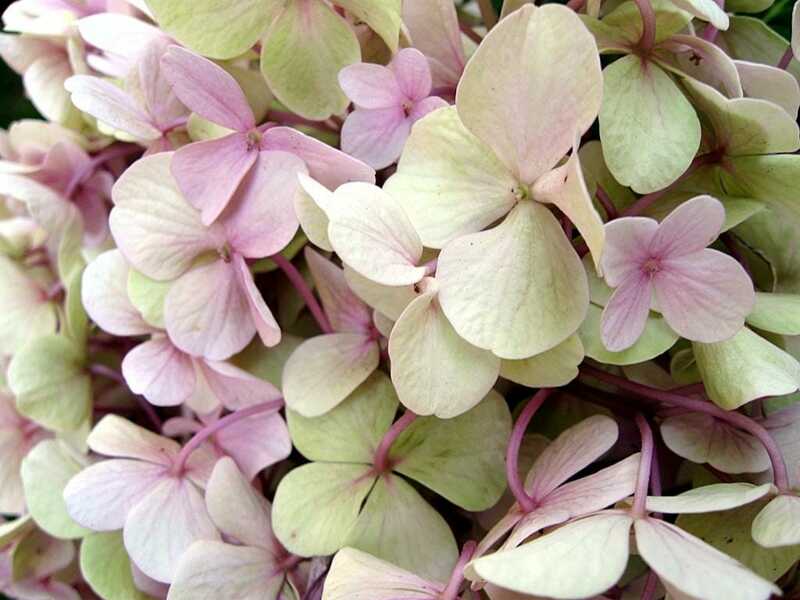 too alkaline or acidic so your hydrangea can’t absorb all the minerals it needs to produce healthy blooms. There are many reasons this could be happening! I would strongly recommend you include seaweed as a liquid and foliar feed regularly to provide trace elements and build health. Improve the condition of the soil you are growing in and ask a local nursery about the variety you are growing to see if you can ID it if you’re not sure. This article: ‘Why Won’t My Hydrangeas Bloom?’ suggests that pruning may also be a factor (you don’t mention if you have done this in previous years). I purchased my hydrangeas from Bunnings and they looked beautiful. I repot them directly into larger clay (glazed) pots with a good potting mix and mulched with sugar cane – placing the three coloured pots around my front windows on the pathway. This faces east/north. They suffered badly so I assumed this was the hot SE QLD sun and have trimmed them and moved them to outside on front patio where they are protected from the hot morning sun and in the shade in the afternoon sun. They are not happy. I water with a watering can every second day or when they look thirsty but now they have like a mildew on the leaves. Only one has healthy leaves. I’m assuming that this is from our hot humid weather. What can I spray them with to protect them. I thought a watered down white oil, but wasn’t sure? It sounds like your hydrangeas may have suffered heat stress and possibly lack of sufficient moisture in the soil mix. Our summers can get savage and they prefer a partially shaded area or one that receives only morning sun and particularly when they are in bloom they need a good supply of water. Consider using a moisture meter if you’re not sure as both under and over-watering can cause plant stress. Improving your potting mix with moisture hugging ingredients like coir peat may also help mitigate this situation as will adding seaweed to the mix when potting up. I use Eco-Seaweed. You may want to consider this option. Also, the ideal location is partially shaded or ‘dappled’ shade. All varieties will bloom and grow well in a morning sun/afternoon shade location but not in heavy shade. Try the southern side of your garden. To mitigate the stress and help the plants settle in, build immunity and recover, I’d suggest watering the pots with a strong solution of seaweed emulsion once or twice a week until they look healthy. Remember to water the soil NOT the plants and avoid watering late in the day as this contributes to a humid environment conducive to this disease. Re the powdery mildew, cut off the worst affected leaves, bag them and destroy to avoid spreading the fungal spores to healthy leaves and consider an organic fungicide such as Eco Fungicide on the remaining leaves to help protect and treat. The spores require high humidity for germination but don’t tend to germinate in wet weather. This should help get them on track. Let me know how they go! Thank you for this page a lot of info. I planted one hydrangea plant in my front yard where it is mostly shade. When I planted it i dug the hole and placed into. There were flowers in bloom on it and nice big leaves. By the next morning the leaves and flowers are wilting. What should I do? Should I dig up then fertilize my soil? Should I dig up and loosen up the rootball? I took about an inch off of the bottom. I live in Northern California . Any help would be appreciated! I have a few questions first: Were you transplanting a mature hydrangea or a new pot plant? Why did you take an inch off the bottom? Do you mean you trimmed the rootball of a transplanted hydrangea? What time of day did you plant it? Did you add any fertilizer to the hole? If it was too hot at the time of day you planted or the plant was too dry and not prepared with a good water of seaweed to the rootball to prevent transplant shock, this could be the reason it is looking so sad right now. Early morning/late afternoon is most suitable. A quick foliar spray on upper/lower leaves and flowers with a strong seaweed solution (check your seaweed/kelp bottle for directions) should help it recover. Make sure it also has sufficient water for the next couple of weeks until it settles in. I would be adding seaweed to the hole or watering into the soil with it also. A thick mulch would also help. Can you please tell me the name of the hydrangea you have pictured with the caption “when in flower, water deeply twice a week” the photo is named “white & pink hydrangea”? It is the prettiest color. I would appreciate knowing the name and if that color comes from certain soil amending efforts or if it’s the natural color. There are so many varieties and they all have their own characteristics and it’s sometimes not easy to identify one variety from another without inspecting the leaves also. If you are looking for one for your yard, I suggest you research the different species and decide which most suits your situation – shade/sun, dwarf etc not just colour. Some are ground huggers, others shrubs, others grow as trees! There is an excellent website that has more information on varieties that may assist you. You can check it out here. Help, I am failing with my hydrangeas. The pink flower is slowing turn blue and the blue flower is turning green (two different plants). I planted them in pots and get watered every second day with a watering system. I purchased hydrangea blueing and pinking to try to fix the problem. I have added sulphur to the blue and lime to the pink but the pH stays around 6. Hello Anne…..what an amazing amount of information……thank you so much – you have gone to so much trouble to give me my answer. I am now thinking of getting two large pots and preparing the soil etc as you suggest as the position I had decided to put them in does have …. not trees …. but two other shrubs…one a nandina and the other a “cigarette bush”. Perhaps these might not be so greedy with their roots. Glad the information on hydrangeas was useful. It’s better to get the position right before you transplant. Sounds like large pots might be a good idea. Hydrangeas won’t grow as big as if they are planted in the ground but you will still have the enjoyment of their wonderful flowers. Perhaps you could consider putting the large pots on wheels if you have limited space? Trolleys and wheels give you the flexibility to move them to sheltered sunlight during the day if necessary or bring them under cover etc. Just check the drainage holes in the pots you choose. Check out my article on the Pros and Cons of Choosing a Container for more information before you go shopping for your pot! Love to know how your plants go in their new pots. Keep me posted!